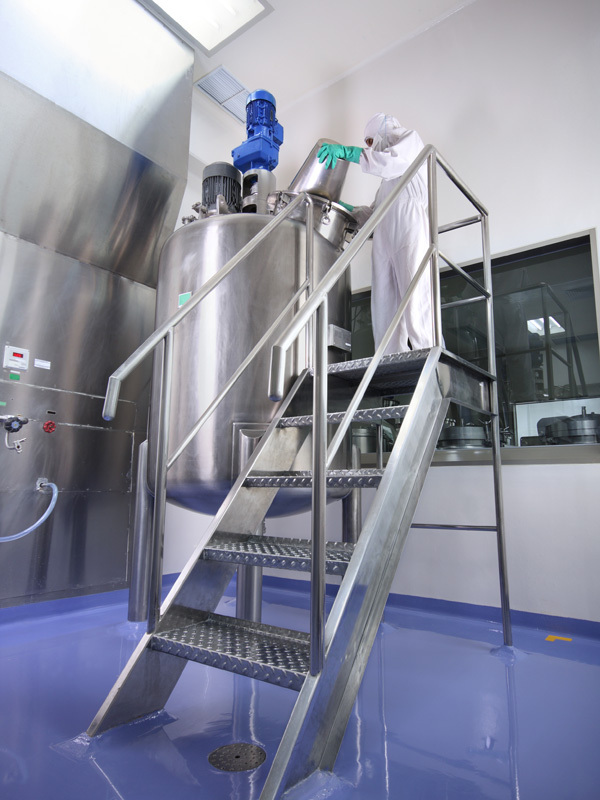 Diama-Shield offers a comprehensive range of epoxy and resinous coating systems including: (1) 100% solids epoxies, (2) methyl methacrylate "MMA"s, (3) aliphatic urethanes and (4) cemetitious urethanes. 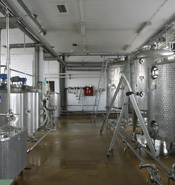 Decorative finishes include quartz floors, chip-to-rejection systems, metallic epoxies and decorative resinous overlays. 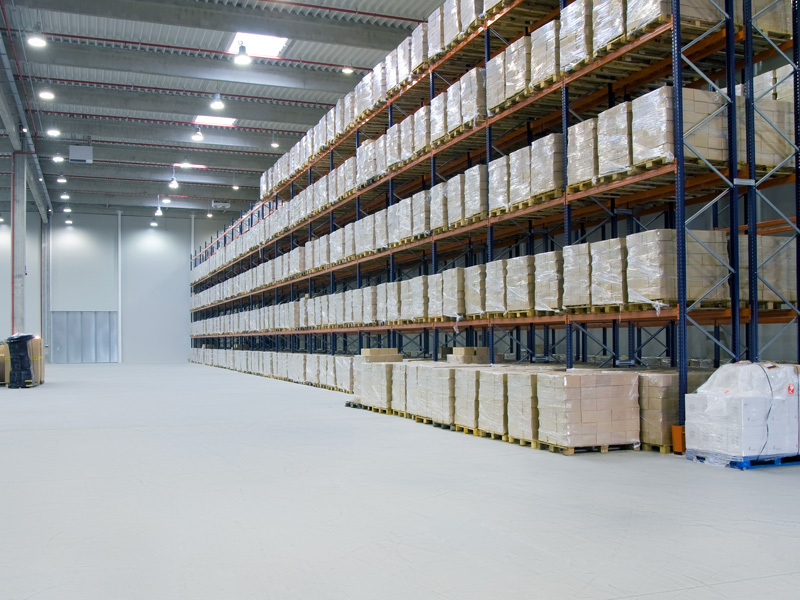 As an independent flooring contractor, Diama-Shield is certified to install a wide variety of products form the most trusted manufactures in the industry. 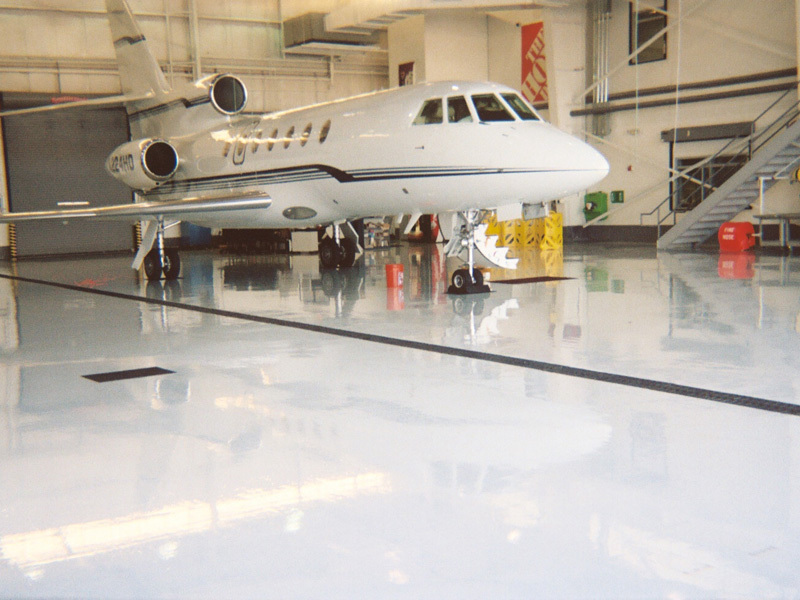 Epoxy coatings are versatile, durable and affordable making them the world’s most commonly used resinous flooring system. 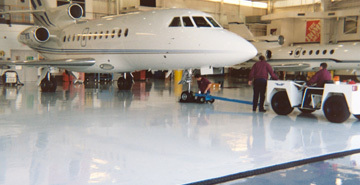 Epoxies are generally packaged in two parts which are mixed prior to application. 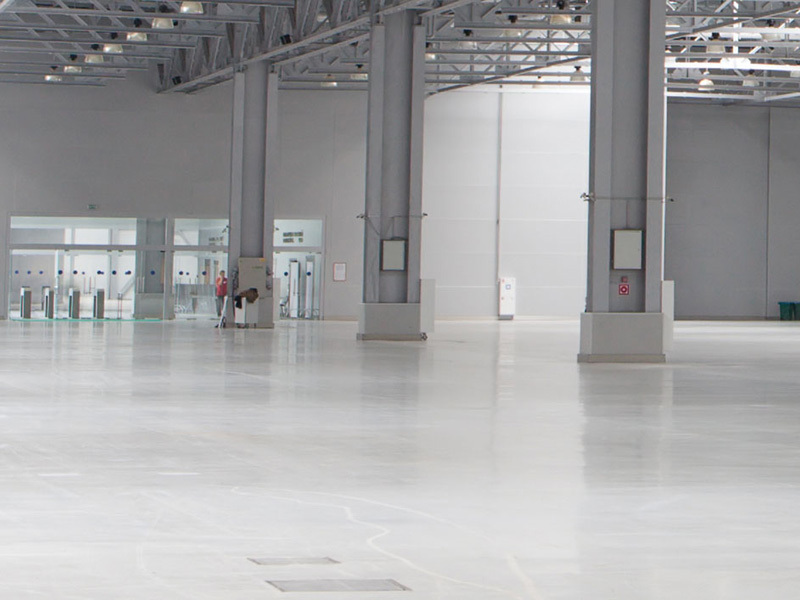 Epoxy coatings are ideally suited for: factories, industrial floors, warehouses, distribution centers, garages, hangers, commercial kitchens, food processing centers, bottling facilities, manufacturing plants, clean rooms, arenas, auditoriums, & convention centers. 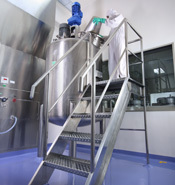 Existing coatings are removed using combinations of scarrifiers, grinders and surface prep tooling to leave clean, abraded profiles optimally suited to receive primers and base coats. 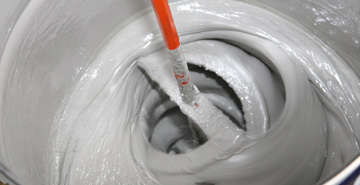 Low viscosity primers penetrate into substrates providing superior bonds between prepped concrete and prime coats. 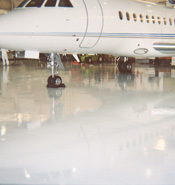 Base coats consisting of 100% solids epoxies promote excellent inner-coat-adhesion and uniform surface conditions. 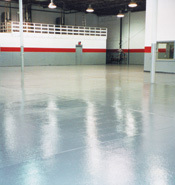 Seamless, solid color top coats are available in a wide variety of colors and sheens. 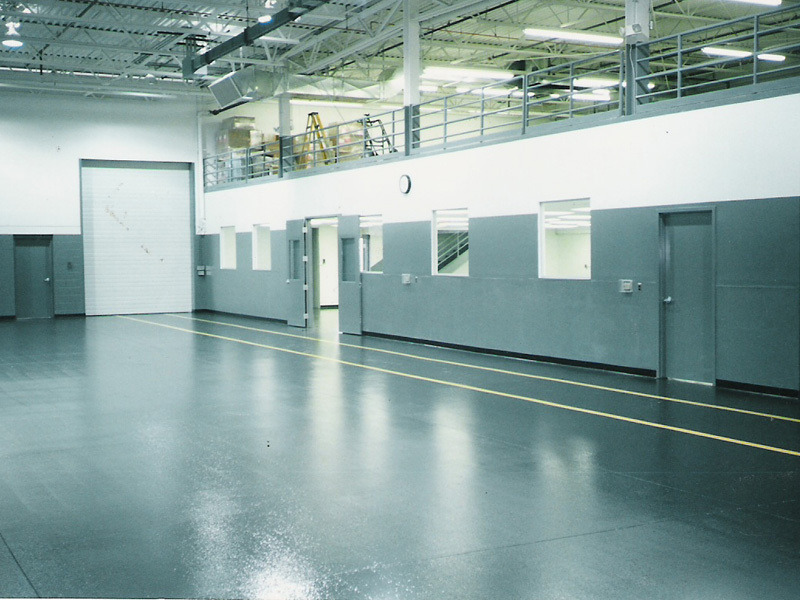 Custom color chip blends are broadcast into resinous top coats to create accents and visual interest in otherwise straightforward, monochromatic industrial floors. 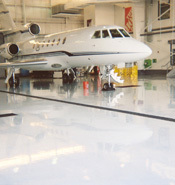 Artistic design elements are achieved by filling epoxy bases with chip blends or colored quartz to create high build surfaces with enhanced performance characteristics that surpass the beauty and custom look of far more expensive floor coverings. 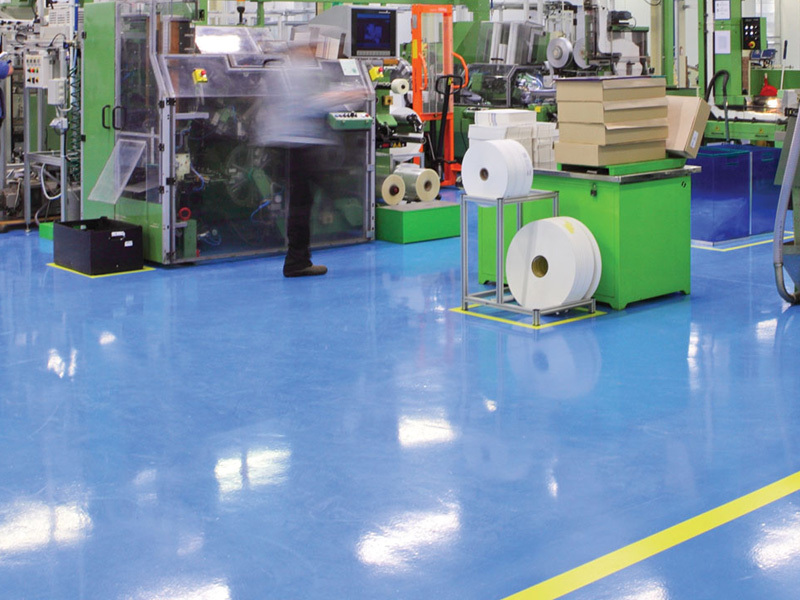 Anti-slip additives, non-yellowing coatings and specialty finishes are available to meet performance criteria required in specific applications. 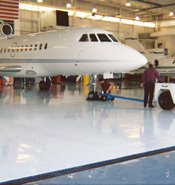 Epoxy coatings are versatile, durable and affordable making them the world’s most commonly used resinous flooring system. 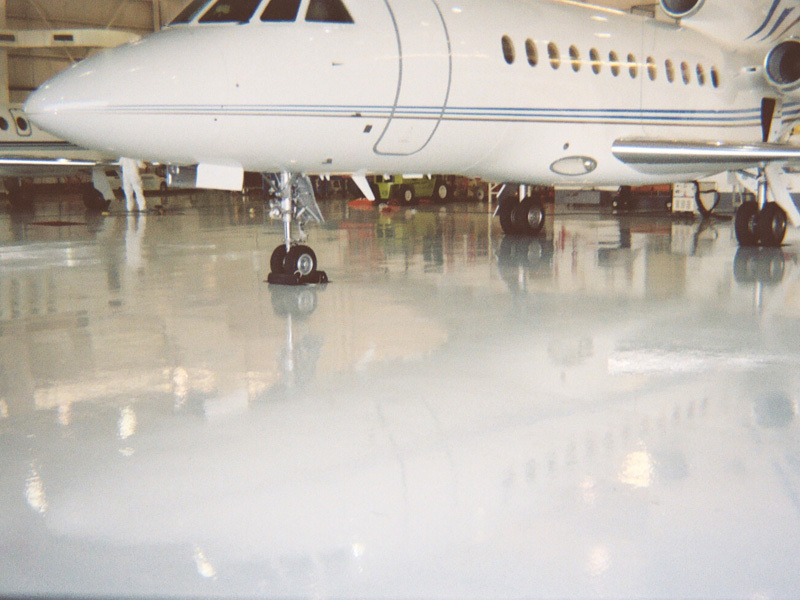 Epoxies are generally packaged in two parts which are mixed prior to application. 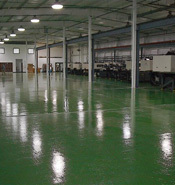 The two parts consist of 1) an epoxy resin which is cross-linked with 2) a co-reactant or hardener. 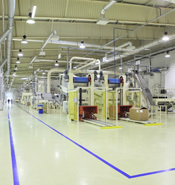 Epoxy coatings are formulated to meet performance requirements for particular uses. 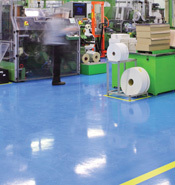 When properly catalyzed and applied, epoxies produce durable, chemical resistant finishes. 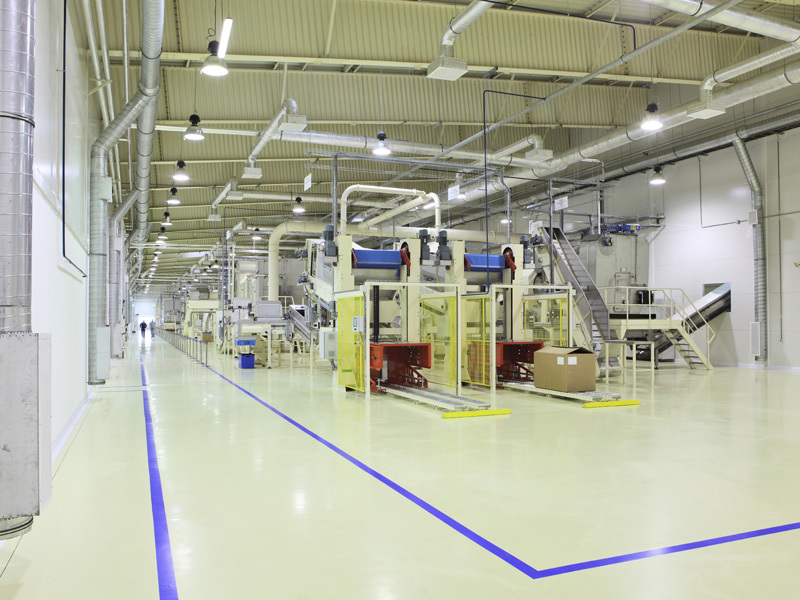 Epoxy systems can be installed in a range of thickness to meet varying performance criteria - from thin film applications of 20 mils for light duty applications to thick overlays of 3/8" or more. 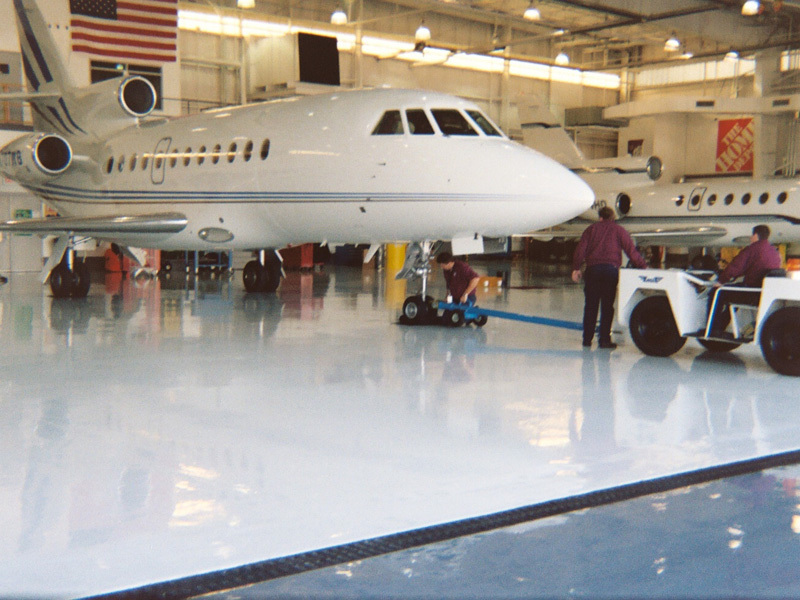 Epoxies provide utilitarian, flexible, seamless, chemical resistant floors that are easy to clean and maintain. 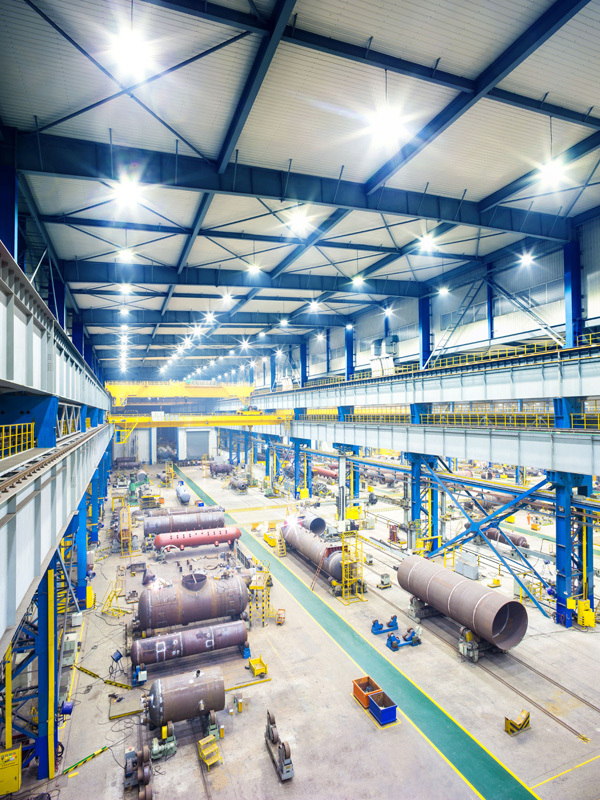 Methyl Methacrylate “MMA” coatings are recommended when UV protection enhanced chemical resistance or fast cure times are required. 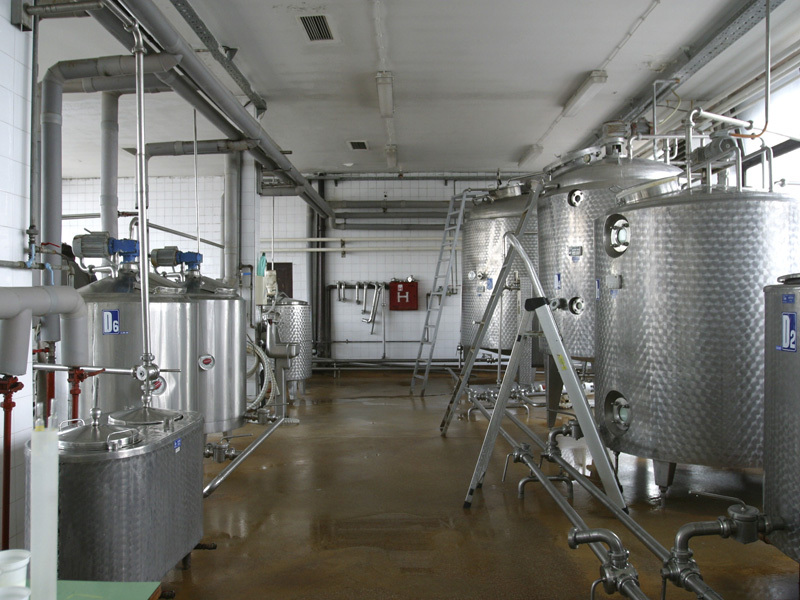 MMAs can be applied both indoors and outdoors under adverse environmental conditions including cold temperature applications (as low as -20 F). 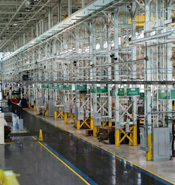 MMA’s can be engineered to have very fast drying times to accommodate short installation windows. 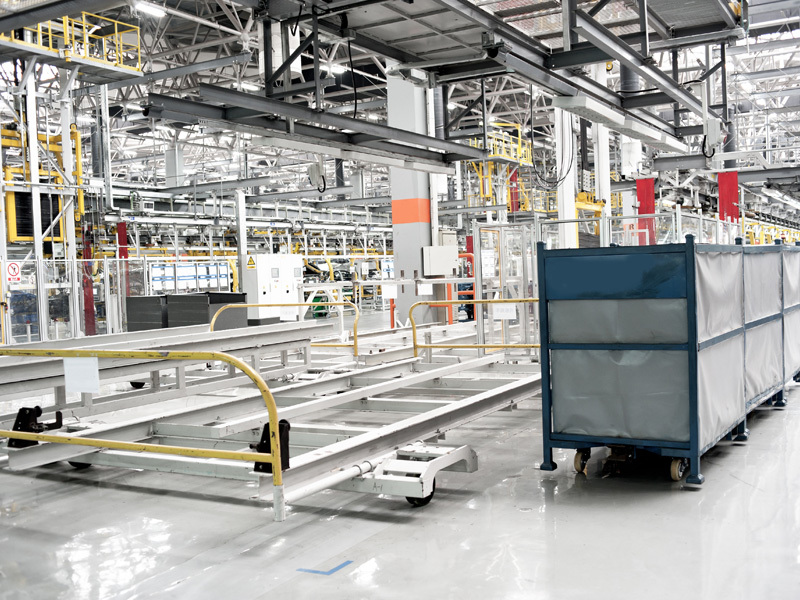 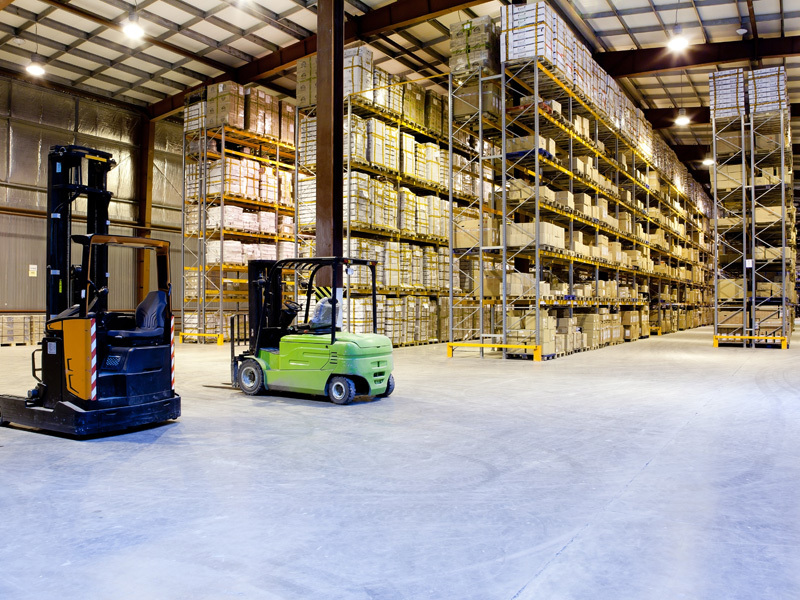 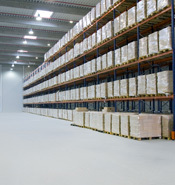 Methyl Methacrylate floorings are well suited for areas prone to chemical spills and exposures, food processing facilities, freezers, refrigerated warehouses and other challenging work environments. 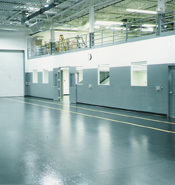 Urethanes are typically two component, low VOC, high solids industrial floor coatings that are chemical, weather, abrasion and impact resistant. Urethanes are available in a wide range of finishes from high gloss to satin. 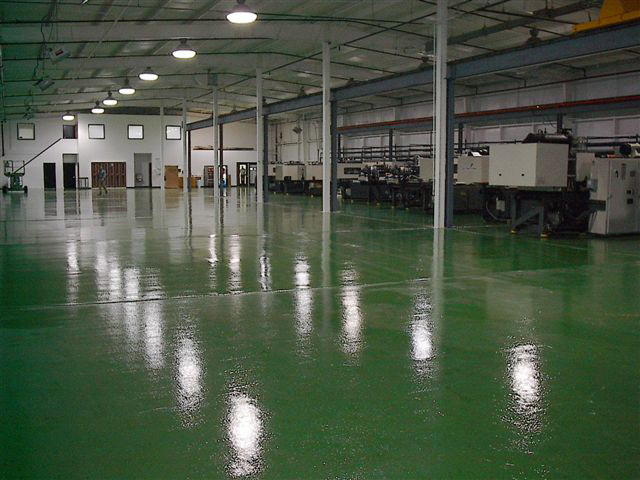 Because they have high moisture tolerances and stand up to thermal shock better than other industrial flooring systems, Urethanes are recommended for coating green concrete. 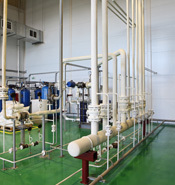 Aliphatic urethanes offer outstanding chemical and abrasion resistance. 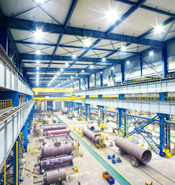 UV stable aliphatic urethanes can be exposed to direct sunlight without yellowing. 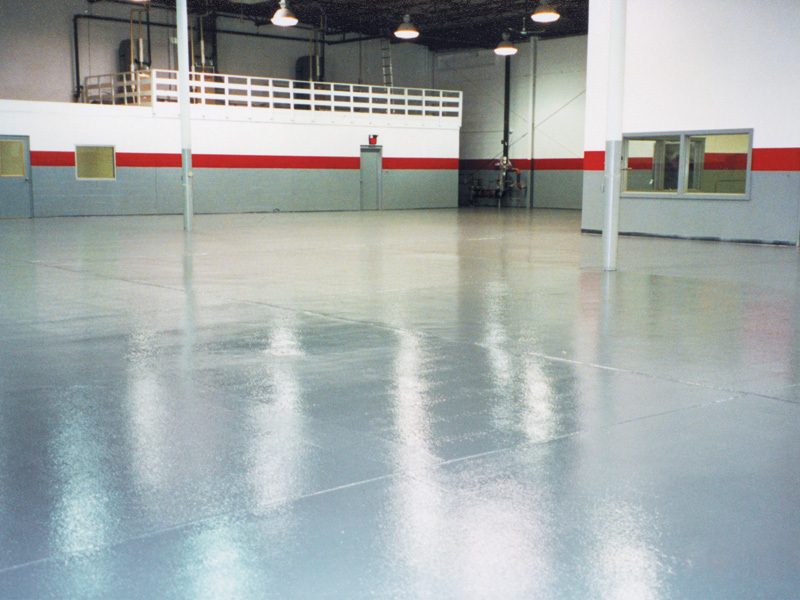 As a top coat, UV stable urethanes provide high gloss finishes that extend color retention. 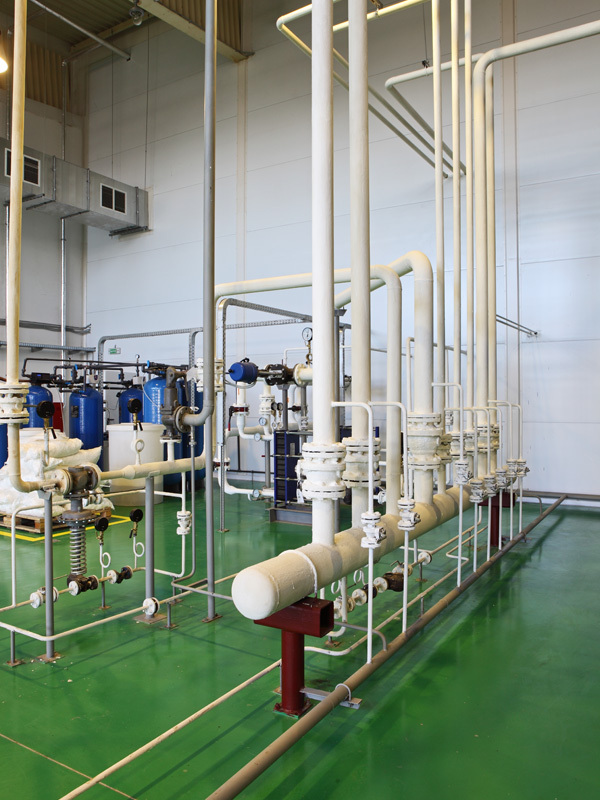 Aliphatic urethanes are well suited for high traffic areas that are exposed to sunlight or other UV light sources. 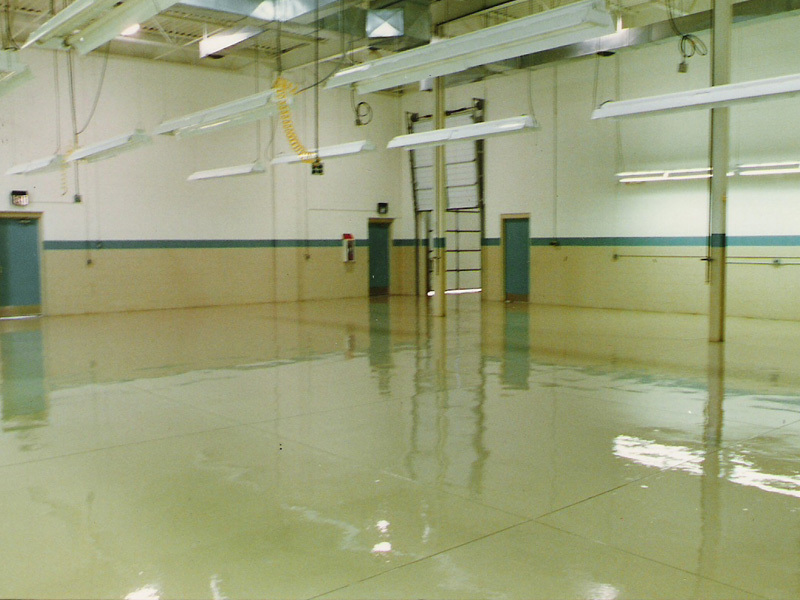 Cemetitious urethanes range from 1/8" self-leveling coatings to 1/2" trowel down systems. Extremely durable, highly chemical resistant, able to withstand extreme temperatures, anti-slip, sanitary and seamless, power and steam cleanable - cemetitious urethanes are ideal for food and beverage industries, as well as industrial, pharmaceutical, healthcare and other demanding environments. 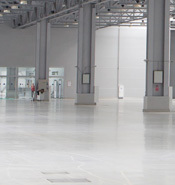 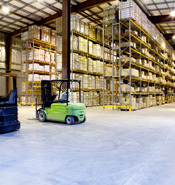 Epoxy floors are durable, resilient and provide excellent impact and abrasion resistance. 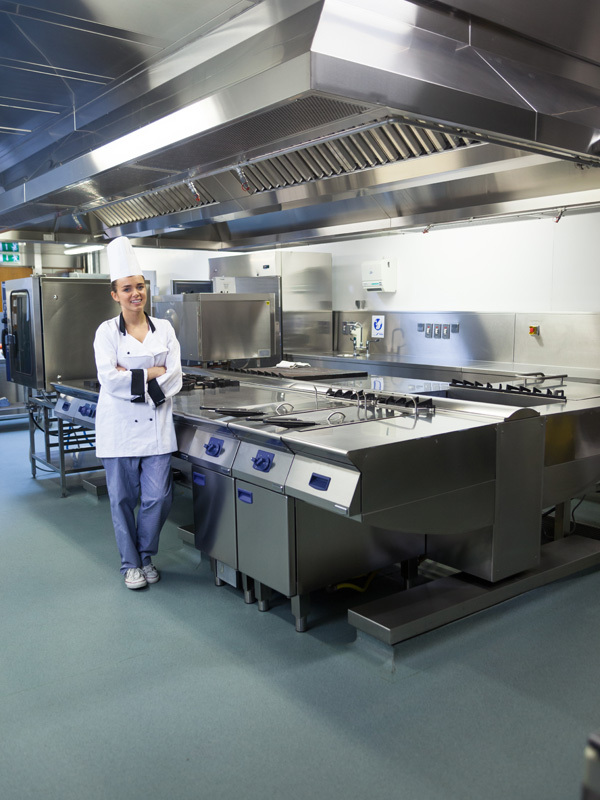 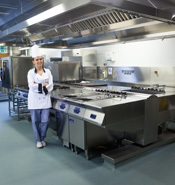 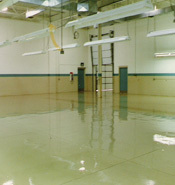 As seamless, chemical resistant surfaces, epoxy floors are sanitary and easy to clean. 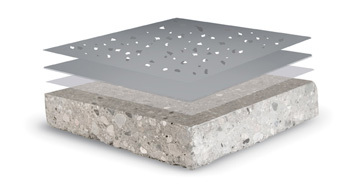 Pigments, colored chip and quartz make nearly any texture and color possible. 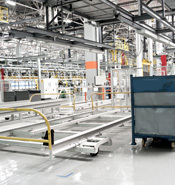 Anti-slip additives provide improved traction and safety. 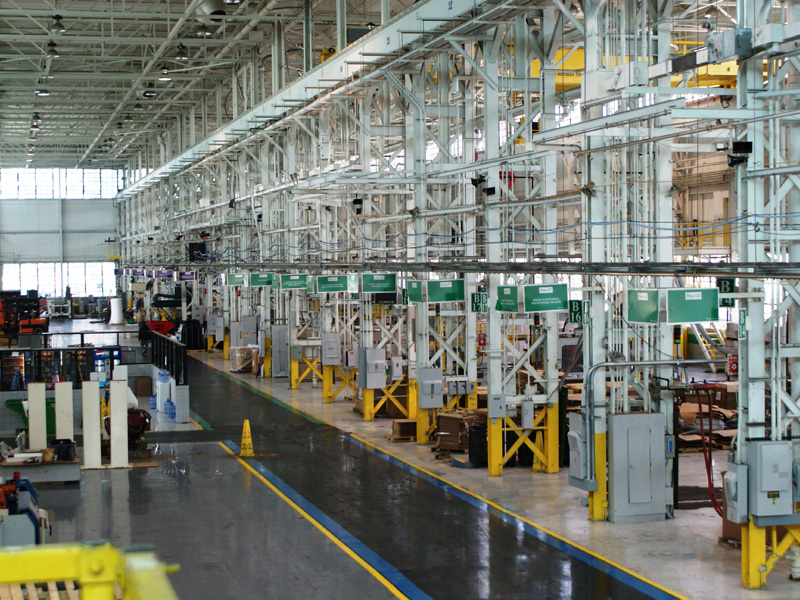 By delivering proven performance characteristics in a wide variety of applications at attractive price points, epoxy and resinous coatings have stood the test of time as a commercial and industrial flooring option.